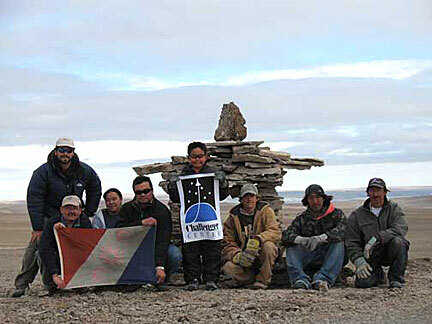 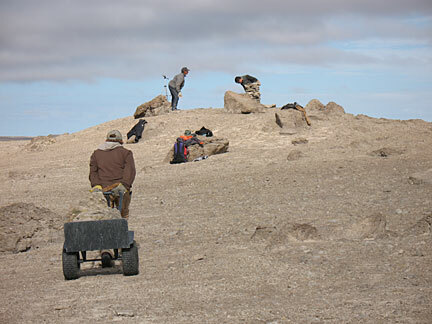 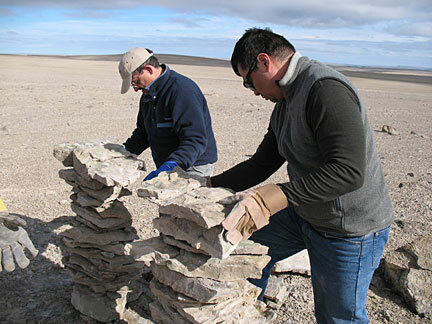 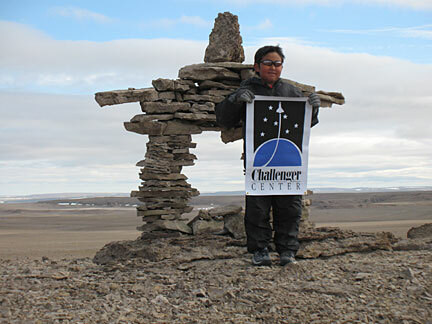 On Wednesday, 18 July 2007, Leroy Chiao, Matt Reyes, myself and a group of Inuit students constructed a memorial inukshuk on Devon Island to honor the crew of Space Shuttle Challenger. 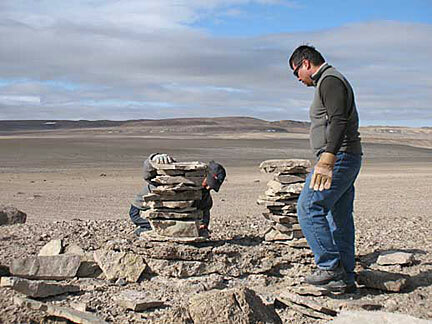 Here is a movie of the dedication and the materials placed at the base of the inukshuk. 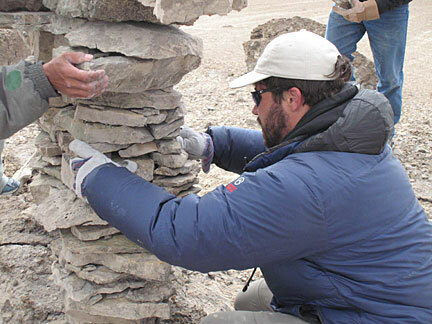 Keith Cowing is shown placing materials in the container and astronaut Leroy Chiao says a few words about the memorial. 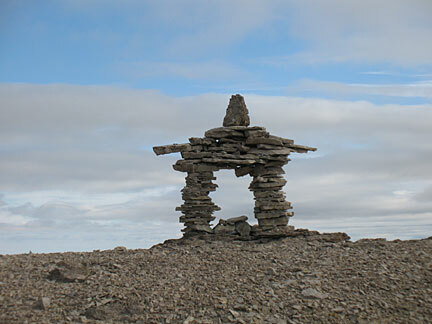 Twin inukshuks. 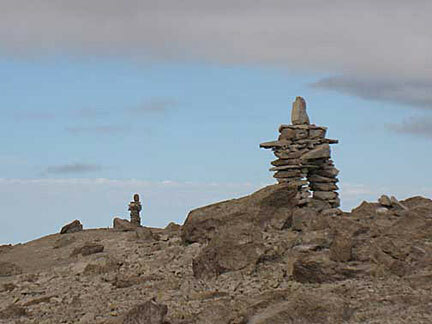 On the left is the new Challenger Inukshuk - on the right is the memorial to the Columbia crew and astronaut Michael Anderson which was erected in 2003.